In the early stages of Alzheimer's, your patient may still be able to perform the daily tasks that allow a person to live and function independently. As the disease progresses, these responsibilities will fall to the caregivers and providers. A person with Alzheimer's may react with frustration, agitation and even aggression when tasks become difficult. Try these suggestions to ease the fear and frustration. Determine the time of day when your patient is most calm and agreeable. Schedule the most difficult tasks, such as bathing or medical appointments, for that time period. Established routines help make the day more predictable and less confusing. Let him or her help. Involve your patient in tasks as much as possible. Perhaps your husband can shave himself if you turn on the electric razor and put it in his hand. Maybe your wife can dress herself if you lay out the clothes in the order they go on. Having fewer options makes deciding easier. For example, provide two outfits to choose between — not a closet full of clothes. Reduce distractions at mealtimes or during conversations so that your patient can better focus on one thing at a time. Take more time. Don’t hurry. Expect things to take longer than they used to. Schedule more time to complete simple tasks. Provide instructions one step at a time. 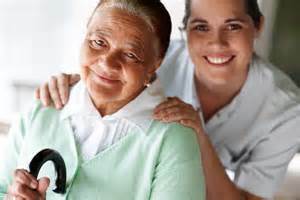 With Alzheimer's, your patient’s ability to function and cope will steadily decline. It may even vary from day to day. Try to stay flexible and adapt your routine as needed. A favorite food may suddenly become unappealing. Or your patient may insist on wearing the same outfit every day. If that happens, buy a few identical outfits so one will always be clean. It's OK if he or she wears the same thing every day. Allow your patient to do as much as possible with the least amount of assistance. Relax your standards — don't worry about the way things should be done. Bathing, for example, may not be necessary every day, especially if it's upsetting for your patient. Try switching to sponge baths between showers or tub baths. Avoid throw rugs, extension cords and any clutter that can cause your patient to trip or fall. Install handrails to prevent falls. Install locks on cabinets that contain medicine, alcohol, guns, toxic substances, dangerous utensils and tools. Remove plug-in appliances from the bathroom to avoid the risk of electric shock, and set water-heater temperature no higher than 120 F to prevent burns.